Separation notice examples may give a negative connotation to some. The word separation itself by nature brings about bitterness and sadness. But it doesn’t have to be that way every time. 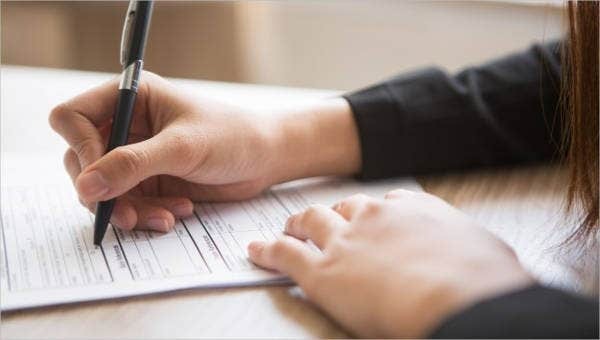 A separation notice can bring about change yet can provide you with new opportunities, benefits, and avenues for growth. On the perspective of employers, drafting a separation notice can be burdensome, and sometimes you can’t find the right words to say. 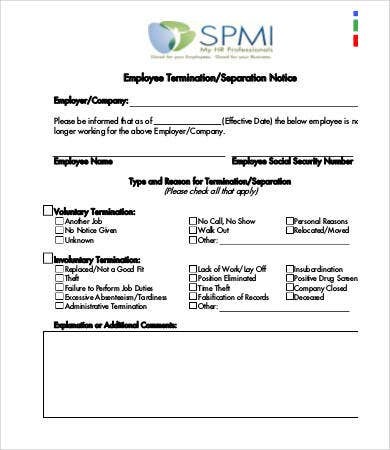 To help you with that, we have an array of separation Notice Template samples that will be handy and useful whenever the need arises. As you can see, our templates are not just solely focused on the employer-employee relationships. 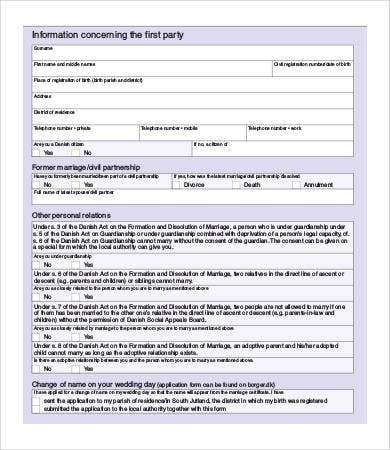 We also have templates for marriage separation notices and general notice of separation templates. 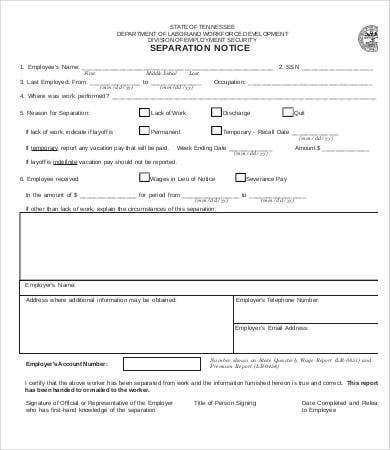 By definition, a separation notice is a document that is issued to an employee when they leave their work position. It does not solely mean that they were involuntarily terminated because there can also be voluntary termination or resignation. 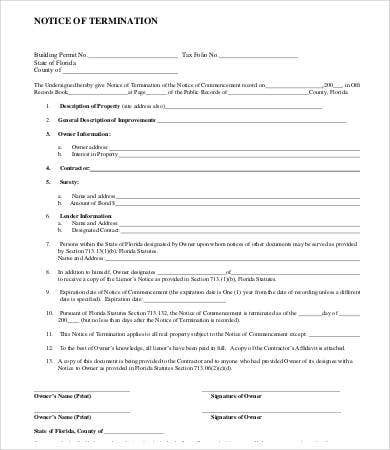 Our templates will spell out the reasons and other important aspects behind the said separation. 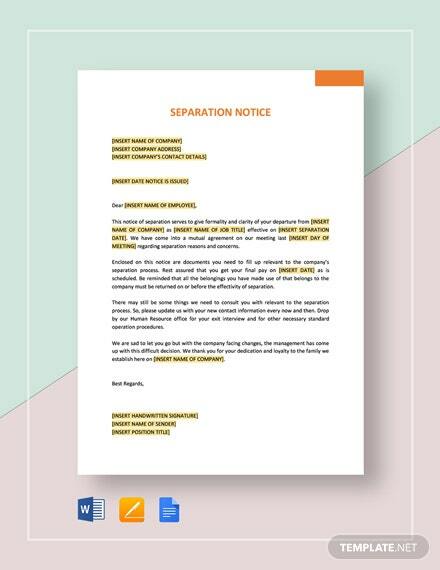 For more generic separation notices for other applications, check out these Termination Notice and Notice to Vacate samples from our website. 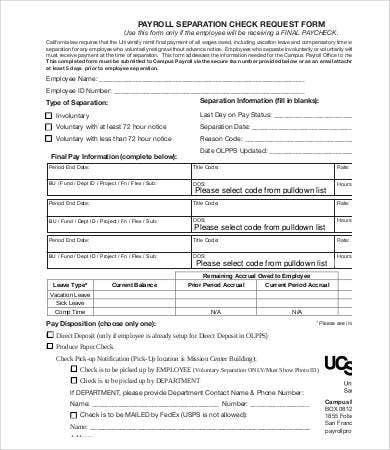 Employees personal details. 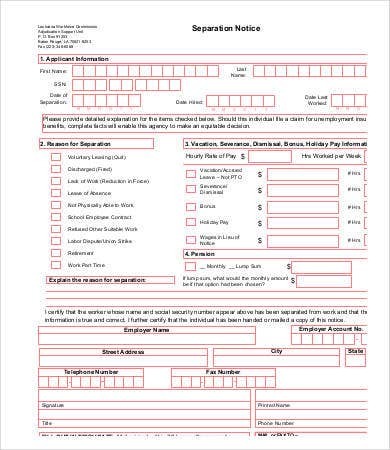 This can refer to the employee’s name, address, updated contact numbers, business details, professional details, and government-issued identifications. Length of employment. 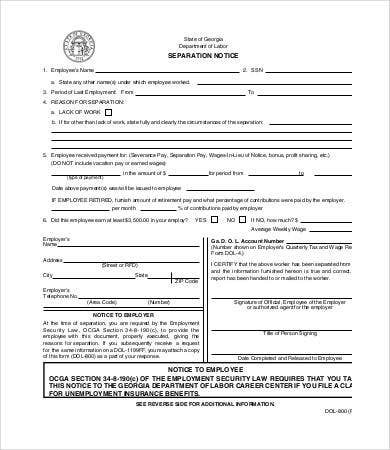 In here, the employee must provide how long he or she has been working in the company and the corresponding positions he or she worked as. Purpose or reason of the separation. It could be a voluntary or an involuntary separation. It is important for instances that the reasons for the separation was emphasized and stated. Benefits. Separation is not just about ending one’s relationship with the company but also about what benefits are there for you after serving your company throughout the months or years. The company has to return the favor for your months or years of service. 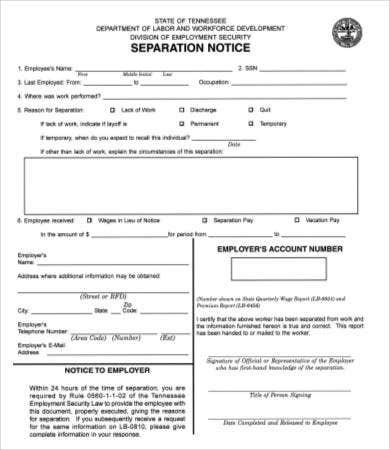 Indeed, separation notices is not just a negative document. It represents change, acceptance, and opportunities for your to grow personally and professionally. With this, feel free to download our templates for your reference and use. If you’re looking for other templates such as 30-Day Notices, check out the samples we have on our website.